As you know, luxury watches can cost hundreds of thousands of dollars. The good news is that you don’t have to spend your life savings to acquire a high-quality Swiss timepiece as there is a whole range of renowned watchmaking manufacturers offering high-end watches at reasonable prices. However, what if we say that there are luxury watches that make even a $100,000 price tag look like a bargain? We are now talking about very exclusive diamond timepieces that cost millions of dollars. They do exist. What’s more, sometimes they are even available for sale. 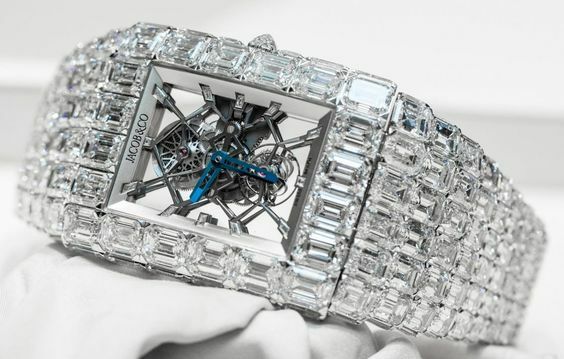 Let’s take a closer look at some of the most expensive diamond watches ever created! 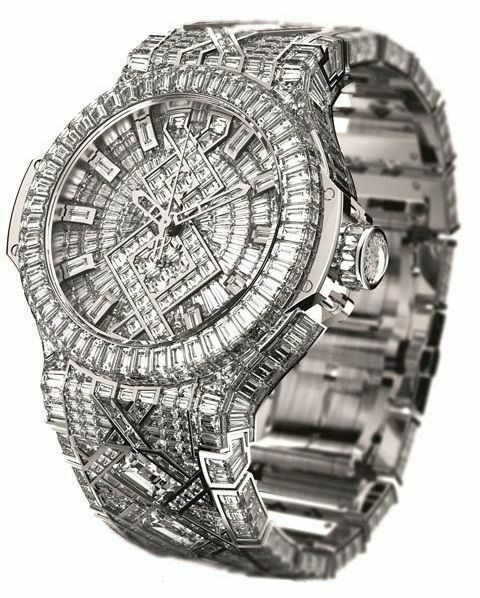 Hublot has several extremely expensive diamond watches in its range, but this one is truly unique. Enclosed in a 44mm 18k white gold case, the Five Million Dollar Big Bang is completely encrusted with 1282 Top Wesselton diamonds with a total weight of 140 carats. Moreover, it is powered by a Hublot in-house automatic movement built on 65 jewels. It is no wonder that this precious timepiece was bought by Beyonce as a gift to her husband Jay-Z. This dazzling representation of the Jacob & Co.’s passion for breaking boundaries is truly a billionaire’s luxury watch. Created in a single piece, it is decorated with emerald-cut diamonds with a total weight of impressive 260 carats. The timepiece itself comes in a 47.5mm 18k white gold case with a stunning skeleton dial, not to mention that it is powered by an exclusive hand-winding tourbillon movement that ensures 72 hours of power reserve. Created in 2000, the Chopard 201 Carat watch has brought a whole new meaning to luxury. Containing 874 top-quality diamonds of different colors, shapes, and sizes, this Haute Joaillerie masterpiece is worth every million spent. And yes, it also tells the time. Powered by an accurate movement, the glamorous 201 Carat watch is still a reliable timepiece. Have you ever heard about transformable diamond watches? Meet The Fascination by Graff Diamonds, a unique luxury watch with a removable part that becomes a dazzling ring! With its highly architectural bracelet and case encrusted with almost 153 carats of diamonds, plus a pear-shaped 38-carat diamond used for a ring, this spectacular timepiece is a true miracle. The title of the world’s most valuable diamond watch goes to the Hallucination created by Graff Diamonds. 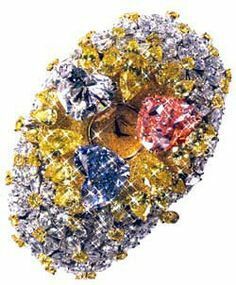 This fifty-five-million platinum timepiece is a real celebration of extremely rare colored diamonds weighing 110 carats. Even though this exclusive watch is powered by a quartz movement, it is still worth the asking price. After all, the best craftsmen, gemologists, and designers spent thousands of hours creating this unique masterpiece. Combining unparalleled design, high-quality diamonds, and superior workmanship, these breathtaking luxury watches are undoubtedly some of the most sought-after and admired pieces of both Haute Horlogerie and Haute Joaillerie. No wonder, they cost millions of dollars each.